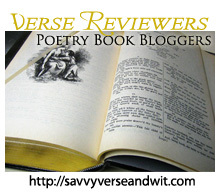 Welcome to the 361st Virtual Poetry Circle! For this week, we had to read chapters 12-17. Stay tuned next Thursday, March 3, 2010, which is my official due date, for the next discussion. I’m going to try to keep reading along, but some posts from here on out could be delayed a bit. In these chapters, Lucy Snowe stumbles upon a secret love affair and infatuation and becomes engrossed in uncovering the identities of the lovers. In this way, she seems to take on the suspicious nature of Madame Beck, who continues to spy on her household. At one point, Madame Beck even suspects Lucy of trying to ensnare Dr. John away from her, and she takes it upon herself to go through Lucy’s things, which angers and amuses our narrator. These baffling reactions often leave the reader wondering if Lucy has any pride in herself; does she not see herself as trustworthy and that is why she brushes off the invasion of privacy by her employer. It is almost like she’s living a household like the Big Brother reality TV show. In many of Lucy’s observations of her fellow teachers and others, readers note a streak of venom. It is almost as if she cannot stand qualities different from her own, such as enjoying wealth and jewelery, but at the same time she comments on moments when certain qualities that she disapproves of can come in handy. When the play for the Fete or party for Madame Beck is nearly stopped due to another’s illness, however, Lucy jumps in head first, despite a rambling of reluctance as to why she should not. Readers will find that assertive ultimatums from fellow teachers and Madame Beck often propel Lucy into action. Our narrator is courageous and full of conviction even in light of things she wishes not to do. In these chapters, we see Lucy grow, coming out of her shell and becoming more impulsive with her speech and approach to others, though harsher than most expect at times. However, it is this impulsiveness that seems to show her growing more comfortable with her surroundings, but how much have those surroundings and Madame Beck influenced her behavior? She seems to have broken from her reserved nature to tap a well of passion and conviction buried deep within, but can she control that well of passion or will it consume her? Only time and more chapters will tell. Stay tuned next Thursday, March 3, 2011, for the next discussion. For this week, we had to read chapters 6-11. Stay tuned next Thursday, Feb. 24, 2010, for the next discussion. We begin with Lucy Snowe in London where she feels a sense of freedom that she has not felt previously, at least what we can tell from the narrative thus far. She seems positive and eager to begin her new life given the open possibilities before her. Alas, the plot pace continues in rapid succession and despite the “Gothic” storm and sea elements, Miss Snowe begins yet another adventure in the late evening and boards a vessel slated to depart the next day. Our narrator seems not only fearless, but also a bit naive in the ways of the world given her penchant for over paying and her decisions to board boats in the late evening despite her position as an unmarried woman. However, what better place for her to observe more people and make commentary about not only their personalities, but their behavior and social status. It is clear from the few interactions and the many observations she’s made about people around her that she has very well-defined opinions, and many of them are harsh. What does this tell us about her personality and her behavior? Upon reading these passages, readers may get the sense that she both values and fears the opinion of others, which forces her to shrink into the background as an observer whenever possible but does not prevent her from speaking her mind to a certain extent. For example, she has no qualms about telling the steward once she is aboard The Vivid that she knows she paid the boatman too much or telling the stewardess that now that she has arrived on board she has not plans to leave no matter the lateness of the hour. While a determined young woman, Miss Snowe does leave quite a bit up to chance and fate, following blindly an inner voice who speaks occasionally about which destination should be next. Arriving in France, this voice explains that she must go to Villette where a young Miss Fanshawe from the boat said she was going. Again she relies on fate to get her where she needs to go and often relies on the kindness of strangers when misfortunes befall her. Once employed by Madame Beck, she waffles between the adventurous woman who left her home nation in search of work and a young woman scared of her current surroundings and the challenges they impose. Although her opinions and observations are very clear about other people, her own observations about herself are often incongruous with her actions. In one instance, her determination to prove Madame Beck wrong about her “spineless” nature spurs her to actions that readers may find disturbing and a bit out of character once in a classroom with students outside the nursery who speak French eloquently. Meanwhile, Miss Fanshawe reappears and the banter between her and Miss Snowe is entertaining, but also sheds more light on our narrator’s personality, prejudices, and faults. Overall, this section of the book is revealing of the narrator’s character and her ability to interact with others in a foreign land without speaking the language. While it highlights her adventurous and spontaneous nature, it also serves to show how complex she is when making decisions that concern herself versus decisions that others must make for themselves. Miss Snowe is an enigma, which is slowly unraveling. Stay tuned next Thursday, Feb. 24, 2011, for the next discussion. Unputdownables is hosting a Villette by Charlotte Bronte read-a-long for the next couple of months. And this is the first week of discussion. For this week, we had to read the first five chapters of the novel. The narrator begins by talking of her godmother and her family in Bretton and how she enjoyed being at their house. We soon learn in the first chapter that her godmother has agreed to take charge of a young girl, Paulina, who has lost her mother and whose father has been told to travel to calm his ailments and recover from grief. Miss Lucy Snowe is our narrator and she loves to observe her family members and Paulina as they interact with one another and when they are alone. She has a particular interest in Paulina (Polly) given that the young girl wants to accomplish so much without help, but is not tall enough to complete certain tasks on her own at least not without difficulty. What’s intriguing is the relationship that blossoms between Mrs. Bretton’s son, Graham, and Paulina. Without her father, she seems to be seeking another man to look up to and take care of, but Graham is a young man in school with his own priorities and friends, though he does enjoy spending time teasing Paulina. There also are some similarities between Polly and Lucy in how they interact with others, seeming to want more attention, but unsure how to get it without seeming overly needy. While Polly takes it to the needy extreme, Lucy often seems too aloof. Alas, things change and Miss Snowe and Paulina must part company with the Brettons and face the next leg of their own journeys. The narrator finds herself looking for engagement once at home and is offered one position with a neighbor in need of consistent assistance. Brontë inserts some Gothic elements in the narration — especially the storms and Aurora Borealis — which provide readers with an atmosphere of mystery and suspense. While it is unclear where the narration is headed and what will happen to Miss Snowe given her current financial circumstances, it is clear that she is a character of determination and intuition. It will be interesting to see where this leads. ***As an aside, I’ve purposely not read much about this novel or any reviews to keep my experience with it unencumbered. Stay tuned next Thursday, Feb. 17, 2011, for the next discussion. I’m sure you’ve heard of Unputdownables‘ Villette by Charlotte Bronte read-a-long, which begins next month. If I don’t participate in all the discussions or postings, I will for sure continue reading along and post my final review at the end of March. I hope others will join the read-a-long challenge; this is one book that I’ve wanted to read for a long time, along with some others from the Brontes. If you want more information about the Villette Read-a-Long, please visit Unputdownables.